I suggested (here) that a similar result could be possible in the U.S., if the FDA grants marketing approval for such products. The agency, however, appears to be in no rush to make a decision. Philip Morris submitted a premarket tobacco application (PMTA) to the FDA on March 31, 2017; it has been pending ever since. The FDA took eight months to grant Swedish Match a PMTA for eight snus products in 2015 (here). This week marks the twelfth month of FDA consideration of the IQOS PMTA submitted March 31, 2017. It is often said that regulation is a slow, deliberate process. But in this instance the FDA is in apparent violation of its own procedural guidelines. The FDA simply slow walks any decision on safer options for smokers: it took 2.5 years (here) and 4 years (here) to reject requests to correct inaccurate smokeless tobacco warnings. All of these are examples of regulatory purgatory that I warned about six years ago (here). Our country’s smokers and their loved ones deserve better. Kentucky’s tobacco opponents are furious. Their coalition crusaded for big tax increases on all tobacco products, but the State House of Representatives instead passed a 50-cent tax increase on cigarettes and left chew/dip products and e-cigarettes alone. That is in keeping with the rational tax plan (here) authored by me, released by the Pegasus Institute last Fall and supported by 16 tobacco research and policy experts from Kentucky and across the U.S. Coalition member Al Cross objected in a March 2 commentary in the Louisville Courier-Journal that we “didn’t know or tell the whole story.” He is wrong, and here’s why. This is false. Tobacco companies had nothing to do with our proposal; it was the result of years of work in the field of tobacco harm reduction and health economics. I first described this approach in the Tallahassee Democrat 15 years ago (here). We based our current Kentucky tax plan on a 2015 article in the New England Journal of Medicine written by three prestigious tobacco policy experts. Two of them supported our proposal, along with fourteen other experts. Indeed. We acknowledged that even a 50-cent increase “could present a severe financial challenge to Kentucky smokers, many of whom have only limited resources.” We made it clear that we are not interested in punishing smokers; our cigarette tax increase is not meant to force them to quit. Instead, we “encourage and incentivize smokers to quit or switch to less expensive and vastly safer smoke-free tobacco products” like smokeless tobacco and e-cigarettes. 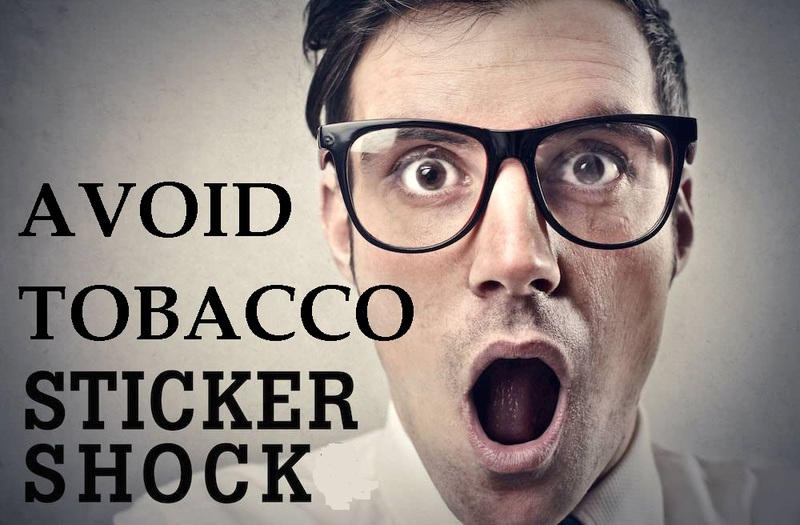 Decades of epidemiologic studies document that the health risks of dipping and chewing tobacco are, at most, a mere two percent of those of smoking. Unlike cigarettes, smokeless tobacco does not cause lung cancer, heart and circulatory diseases or emphysema. A recent government-funded study conducted by federal researchers and experienced epidemiologists found that men who dip or chew tobacco have no excess risk for mouth cancer (here). Kentucky men will be especially interested in this information. Federal survey data shows that 226,000 dip or chew tobacco, 90,000 of whom also smoke. These dual users don’t know that smokeless is vastly safer; our proposal gives them information and a financial incentive to escape the smoke. 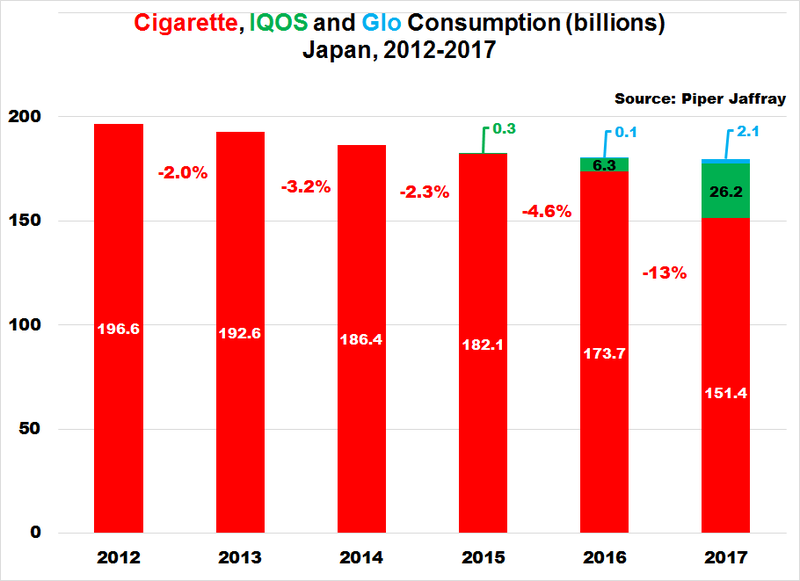 Tax policy should encourage smokers to switch to e-cigarettes, which already are among the most common – and the most successful – quit aids in the U.S. (here). While federal health agencies demonize these devices, United Kingdom government and health organizations endorse them based on solid science. The prestigious British Royal College of Physicians has stated, “…the hazard to health arising from long-term vapour inhalation from the e-cigarettes available today is unlikely to exceed 5% of the harm from smoking tobacco.” Britain’s Department of Health last year formally endorsed the substitution of e-cigarettes by smokers. It is well documented that traditional quit-smoking methods, which strive for complete nicotine and tobacco abstinence, fail to help over 90% of smokers. Kentucky Medicaid currently spends millions on expensive and failure-prone FDA-approved stop-smoking medicines (nicotine patches, gum, lozenges, bupropion, varenicline, and nasal spray and inhalers). Our tax proposal offers a superior approach, at no additional cost to the commonwealth. It incentivizes smokers to switch to smokeless tobacco or e-cigarettes. The Senate should have acknowledged the substantial health risk differentials between combustible and smoke-free tobacco products, and endorsed the House bill. Smokers who switch will spend less, and live longer, healthier lives. It’s no secret: E-cigarettes are vastly safer, increasingly popular and successful substitutes for traditional tobacco cigarettes. More and more smokers are replacing combustible tobacco with vapor technology to reduce their health risks (here), or even to ultimately eliminate their nicotine consumption. This is a particularly important development for my home state Kentucky, where smoking and lung cancer rates are among the highest in the country. Unfortunately, government bureaucrats, dreaming of a tobacco-free society (read: prohibition), are trying to condemn the emerging e-cigarette industry to regulatory purgatory. The FDA’s plan to retroactively enforce cigarette-style regulations on vapor could decimate e-cigarettes, which are cigarettes’ greatest potential adversary. Cigarettes burn tobacco, creating smoke that contains thousands of harmful toxins. Vaping products, on the other hand, heat e-liquid into an aerosol. They eliminate combustion, which significantly reduces toxic byproducts. Many e-cigarettes don’t even contain nicotine. E-cigarettes barely existed in 2009 when Congress passed the tobacco legislation that the FDA is trying to retro-fit to vapor. Furthermore, the agency interpreted the law to require that any e-cigarette or vapor product not on the market in February 2007 – in other words, every product on the market today – pass an onerous, expensive and time-consuming review. Similar regulatory hurdles would apply even when a manufacturer only wants to upgrade a battery, develop a new e-liquid or make even minor improvements. E-cigarettes are among Americans’ most commonly used quit-smoking aids. In fact, they are the only aid more likely to make one a former smoker (that is, a successful quitter) than quitting cold-turkey, according to an analysis I recently published using FDA survey data (here and here). Without these products, smokers face a difficult choice: try FDA-approved smoking cessation products that have a documented 93% failure rate, go cold turkey, or remain a smoker. FDA regulation should not subject smokers to such a quit-or-die predicament when alternatives like e-cigarettes are available. Congress must intervene in the interest of public health, by passing the Cole-Bishop Amendment, which contains provisions to ensure that smokers across the U.S. continue to have access to safer cigarette substitutes. The Cole-Bishop Amendment would grandfather products that are already on the market. It supports consumer safeguards such as manufacturing standards and accurate product labeling. 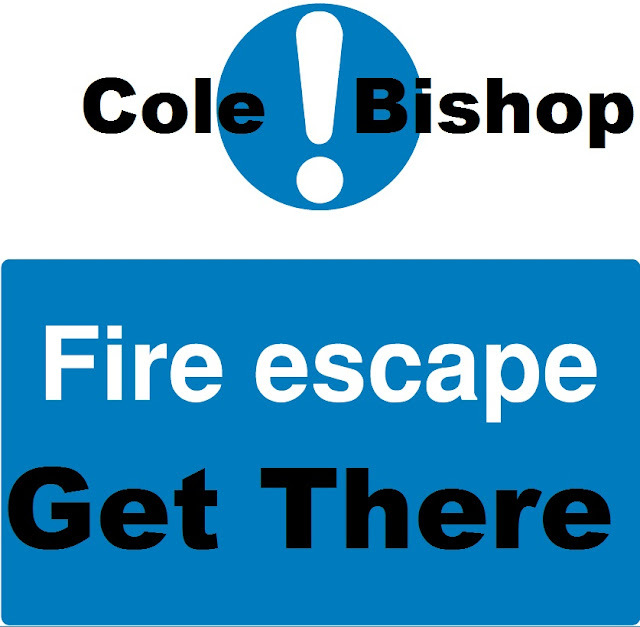 Bottom line: Cole-Bishop provisions recognize the scientific and technological differences between vapor and smoke and the significant differences in their risk profiles. It has broad consumer support, including a coalition of sixteen center-right public policy organizations and think tanks (here) and all major vaping groups. 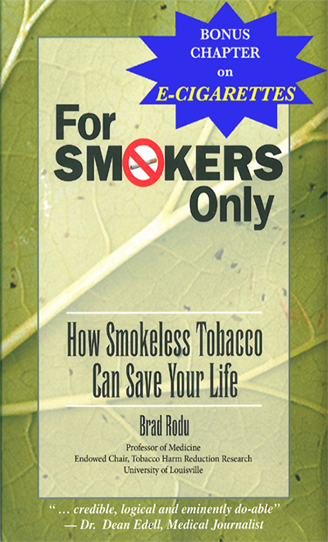 Vapor products represent a vital “fire escape” for millions of inveterate smokers. FDA regulations should not make it more difficult for people to stop smoking, and stay smoke-free.